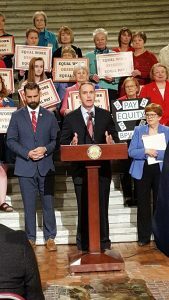 Equal Pay Day for all women was Tuesday, April 2. 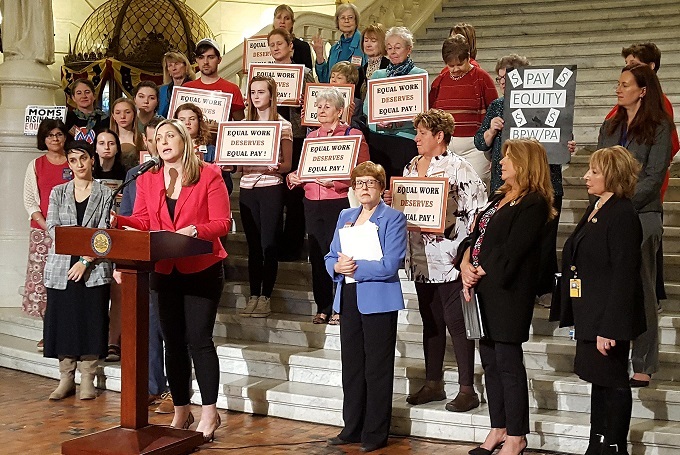 Because neither the Pennsylvania House or Senate were in session that day, AAUW Pennsylvania held a Rally at the State Capitol in Harrisburg on Monday, April 8th from 1:30 pm to 2:30 pm. We can’t be silent in Pennsylvania when the entire country is acknowledging Equal Pay Day on April 2nd. Therefore, we are encouraging local events and visits to Representative and Senator district offices on April 2nd. 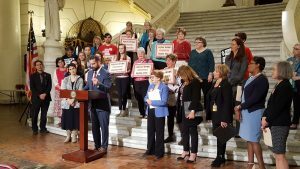 Helpful lobbying information is at Advocacy and Lobbying. 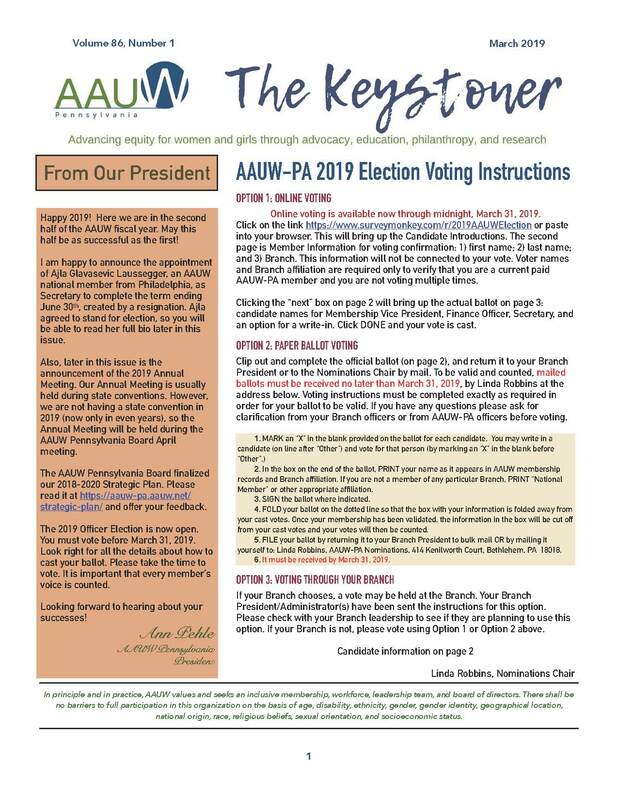 Click here for issue background and materials. The April 8 event began in the morning with a briefing from Barbara Price, Public Policy Co-Chair. So pleas ed Mrs. Wolf, Pennsylvania’s First Lady, joined us. 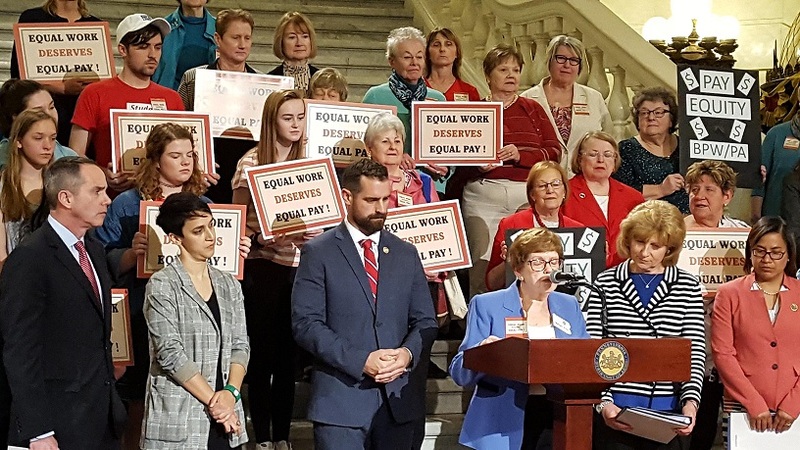 She is an adovacate for equal pay and is working with businesses to extend Governor Wolf’s Executive Order banning the use of previous salary question in interviews into the private sector. Did you see the article about Governor Wolf’s Executive Order banning the previous salary question for Administration positions? Want to know what you or your branch can do?